“It’s time to find something else to blame for all the recent strange occurrences in your life: The Large Hadron Collider, which had become a favorite culprit for everything from lost keys to lost jobs, will remain shut down until spring. 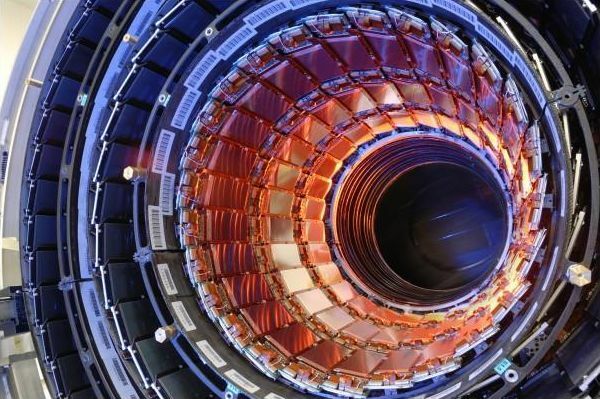 On Sept. 18,2010 the news from CERN , the organization that runs the LHC, was that an electrical problem involved with a cooling system caused a helium leak that would keep the mammoth particle accelerator out of commission for a day or so. A couple of days later, the estimate had stretched into two months : The machine would need to be warmed back up, which will take three to four weeks, before a full investigation could be done. Now the outlook is even more bleak for eager physicists , who have already waited decades for the giant collider to come to fruition, after only a week of tantilizingly successful beam operations. The warm-up period and ensuing investigations will bump up against the LHC’s “obligatory winter maintenance period,” according to a statement today from CERN. This brings us into early spring before commissioning can restart. Betsy Mason is the science editor for Wired.com where she has recently taken refuge from the troubled newspaper industry. She was the science reporter for the Contra Costa Times (and Oakland Tribune) for four years where she covered a broad range of topics with a focus on earthquakes and Lawrence Livermore National Laboratory. She has a master's degree in geology from Stanford University and is a graduate of the UC Santa Cruz Science Communication Program. Following an internship at the Dallas Morning News, and before landing her first staff position at the Times, she freelanced for publications including Nature, New Scientist, ScienceNOW and Discover. In 2007, she won the David Perlman Award for Breaking News from the American Geophysical Union.